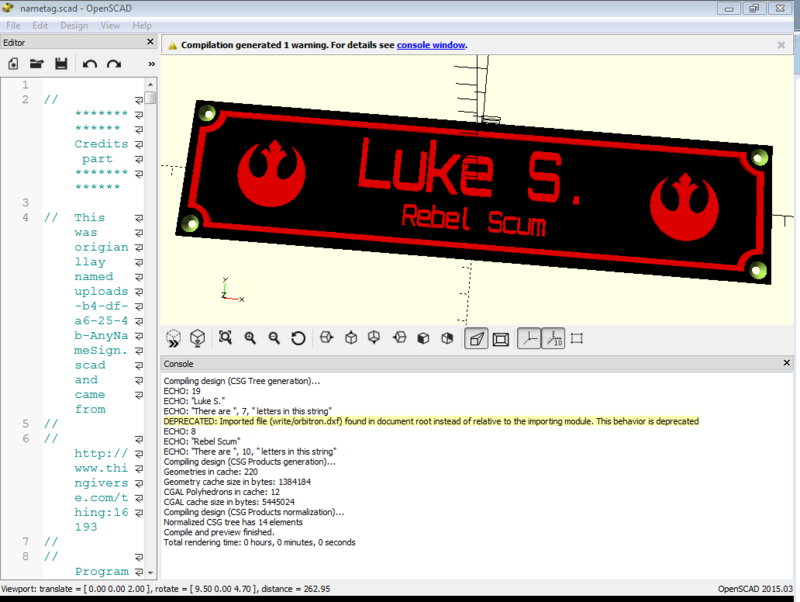 This project uses OpenSCAD to create custom name tags. The name tags feature twin icons, text for name, text for title, and an optional border. Use the Customizer to adjust the icon type, text, and size of the various name tag components. The second round of features added to the OpenSCAD name tag generator include rounded corners, chain loop, and custom fonts. Here is a sample of the second edition of the name tags on Adafruit's Show and Tell. 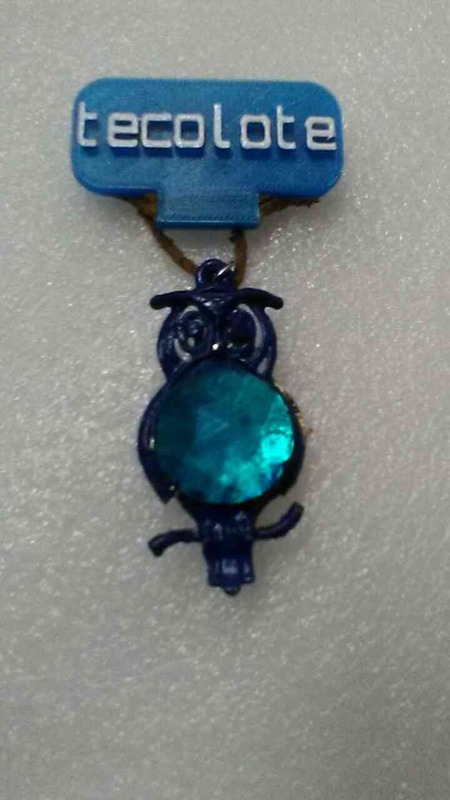 Some sample name tag .stl files are available on Thingiverse. 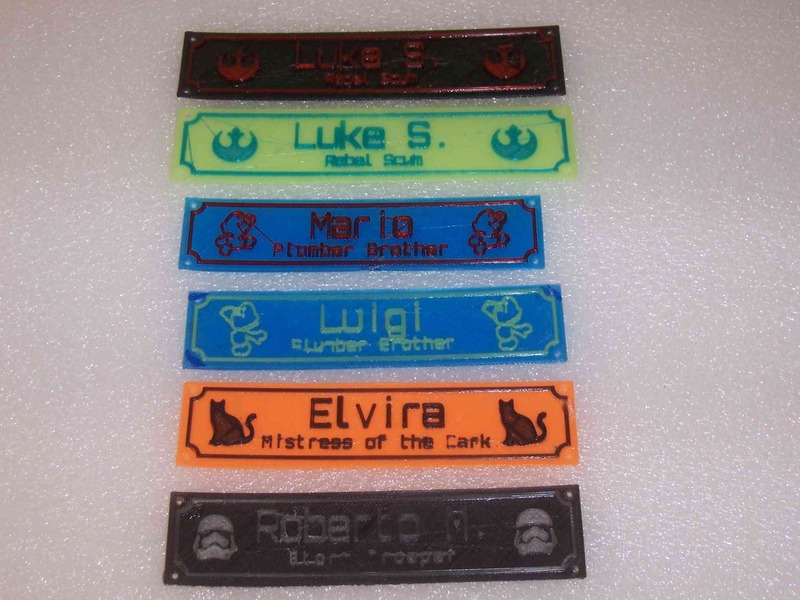 Create a name tag with the Thingiverse Customizer! Below is a list of some of my favorite remixes of the name tag generator. Add different border styles, as seen here. Use a bead chain terminator piece; example.